We love Cool Sites! Submit Your Women's Hiking Site Info and We Can Exchange! Find Great Hikes Anywhere in the US. 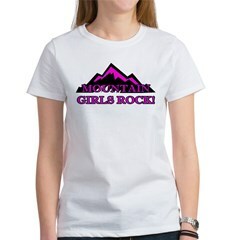 Women's Hiking Links-We gathered some links that pertain to the women's side of this category. Hiking is very therapeutic, whether it is just a short day hike or an extended hike for many nights. If you are spending the night outside, it all starts with a tent, and for me, a good air mattress! Don't forget to get a good pair of hiking boots. Read up on articles about how to pick out hiking boots and how to buy a tent by WSI's very own editors. Also check out our Hiking and Outdoors page. Now get out there! Babes in the backcountry-We are women who want to share our love of the outdoors and educate other women in outdoor skills. Bay Area Hiker Blog-for SF. Becoming an Outdoors Woman-offers outdoor skills workshops. Girls Outdoors.orga resource for women in outdoor education and recreation. Graceful Edge-The fun and sassy website for the hip and adventurous women. Great Girl Back Packers-Converse with other women backpackers. Hike with your dog-where to travel with your dog. The Hiking Lady-The Ultimate Resource for Women Who Love the Outdoors. Hiking Names-find mountain and peak names when hiking. Local hikes-find hiking areas where ever your area is. Trail Dames-hiking club for women of a curvy nature. The Trail Data Base-Boasts World's largest hiking Trail Database. Walking Connection-Your connection to walking, hiking, and adventure travel. Women on the Road-backpacking women. ABC of Hiking-your complete portal for everything related to Hiking. Bay Area Hikes-interactive map of hikes in the Sf Bay Area. Local Hikes-Hiking Trails Near U.S. Metropolitan Areas, listed by State. Peak to Peak-Hiking, Backpacking, Trail and Wilderness Web Sites! Open Project Directory-Hiking: Personal Pages.